Chili or chili is one of the most popular spices because of its spicy taste. Chili is a member of the genus Capsicum, whose fruits can be classified as vegetables or seasonings, depending on how they are used. As a spice, spicy chili fruit is very popular in Southeast Asia as a food flavor enhancer. The part of the chili plant that can be used is the fruit. 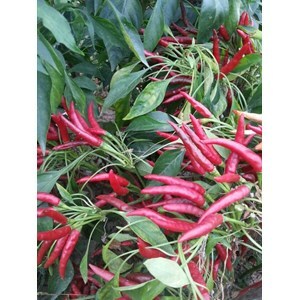 There have been many farmers doing chili cultivation, because chili has a high selling value. Besides being useful as a food flavor enhancer, chili is also famous for having several health benefits. In the chili fruit there are antioxidants that are useful to protect the body from free radicals.